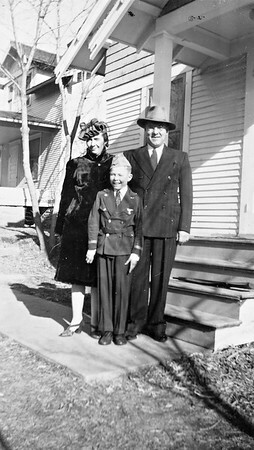 Arnold, wife, and son Don at their home. Captan of Guard at State Prison in South Dakota. Mary Von Arx used to go here to visit this woman. How odd she only refers to herself as "the wife."